What does Manufacturing have in common with Music, Movies and Television? 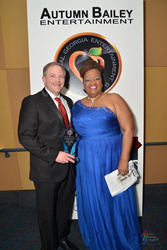 “Georgia Community Leadership Award” presented at the Georgia Entertainment Gala held at the World Congress Center on January 10th goes to Jason Moss, Founder of the Georgia Manufacturing Alliance. 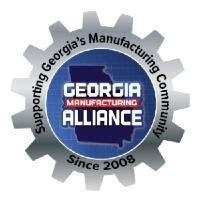 The award brings two leading industries together in Georgia – Georgia Entertainment and Georgia Manufacturing based on a common goal – to grow jobs here in Georgia. The black-tie event brought together 2,000-plus of the most prestigious and celebrated leaders of the Georgia entertainment industry, media and business community. The goal of the third annual event was to honor entertainment and community icons. These leaders work year-round to help increase Georgia’s participation in the music, movie and television industry, which grows jobs and the economy.